Have you come across chewed baseboards, furniture, or cabinet trim? What about droppings or chewed-through bags of food? If you answered yes, you likely have rodents. WHY CHOOSE HARRIS FOR RODENT CONTROL? Rats and mice are dangerous to both property and people. They can chew through walls and pipes, causing water damage. Just as bad, rodents can start fires in your home by gnawing on wires. Even worse, they contaminate food and food prep areas with their urine, feces, and saliva. With contamination comes illness. Rodents are known disease vectors, transmitting rat bite fever, dysentery, Salmonella, and hantavirus. For these reasons, it is best to seek professional help from an experienced, local pest control company. At Harris Pest Control, we have been protecting homes in Florence, Darlington, Kingstree, Lake City, Hartsville, and Bishopville since 1973. Thanks to these 45+ years of experience, we have been able to perfect our method of rodent extermination, prevention, and protection in the Pee Dee region of South Carolina. Mice and rats procreate quickly. Unfortunately, most people wait too long, letting their rodent problem accumulate into an infestation. When you call us, one of our pest control experts will come to your home or business and offer you a free rodent inspection. He will inspect your property and then design a pest control plan catered to your specific needs completely free of charge. Over the 45 years in which Harris has been serving the Pee Dee Region, we have honed our mouse and rat control treatments. First, your pest control specialist will identify harborage and feeding areas, since rodents normally eat, breed, and live within a 50 square foot area. 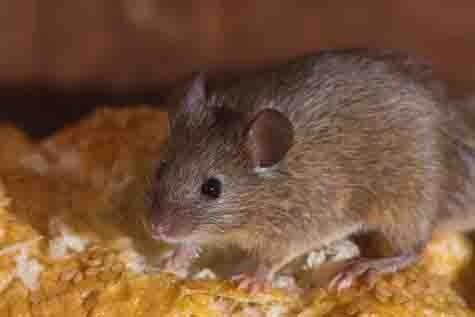 Once infestation areas have been identified, he will lay traps and use rodenticides. Next, your rodent control expert will identify entry points and seal or close them. He will place rodenticide within your building's crawl space and attic. Additionally, he may place bait stations around the exterior and inside storage rooms, utility closets, and heater closets. Once control has been established, it is important to maintain a rodent-free environment with a consistent pest control program. At Harris, we provide the guaranteed protection you need. When you subscribe to our Intelligent Choice Service plan or Quarterly Pest plan, you will receive year-round protection that's easy on your budget. We will keep coming back until the problem is solved--with no additional fees. That's our guarantee.